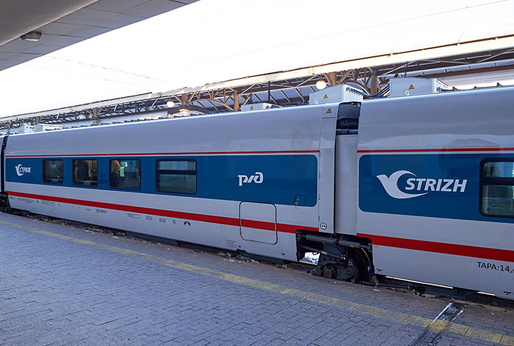 Strizh is a brand name of high-speed trains Talgo 250. It is adapted to Russia by the project of the Spanish train Talgo Intercity, which is used on the railways of Europe. The speed of Strizh trains reaches 180 km/h. The passengers of the train Strizh can use free wi-fi. Swift trains connect Moscow with Nizhny Novgorod in less than 4 hours. 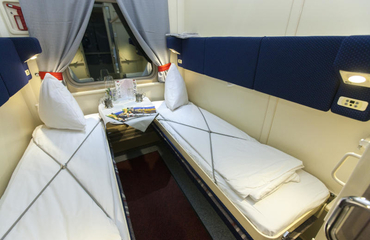 There is also a Swift train between Moscow and Berlin which has both seating and sleeping coaches and allows passengers to reach the capital of Germany from Moscow in less than 24 hours. The train consists of different types of cars – 1st and 2nd class seating cars, 1st class sleeping car, bar and restaurant. 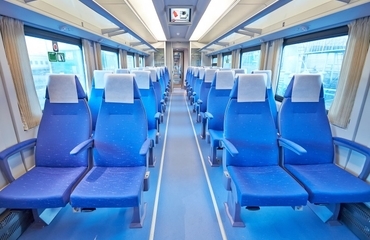 The cars of the 1st class and 2nd class differ in the number of seats, their design and the offered service. Meals in the car of the 1st class are free - each passenger can choose a breakfast or lunch on the menu. In the 2nd class you can order breakfast or lunch for an additional fee. Sleeping car has five double coupes equipped with TV an individual bathroom with a shower.